This story first appeared in "The Climbing Life" section of Alpinist 58—Summer 2017. Dad sings his tea song as he pours warm tea out of his flask into a plastic mug. Only the two of us know the tune. I unwrap a coffee-flavored sweet, and I ask the question that most six-year-olds would on a journey, "How far is it, Daddy?" He looks up from under his thick spectacles, and he squints against the early morning sun. "Not far," he says. He smiles through the black mustache. "Only an hour or two away." He starts putting the flask, the mugs and the sweets back into the old dusty rucksack. I long to see the top. Dry, rugged slopes dotted with rocks rise toward the blue sky. Thistles sway in the breeze. A grasshopper jumps from behind a rock. I glance at my dirt-speckled boots and pick out the thorns stuck on my big woolly socks. He tells me how well I've done so far. Far below our sleepy town of Karaj, Iran, blinks its lights. Mum must be still in bed. I am so high up! I bounce to my feet and say, "Let's go." Twenty-five years pass. I strap my one-year-old son in the child carrier, which I have stuffed with toys, drinks and snacks, and I shift the pack onto my back. It feels heavy. But I need to train for Damavand. At 5610 meters, it's the highest peak in Iran. I leave the terraced Victorian house in London where I now live, and I head toward Greenwich Park. I check to see if my boy is comfortable. He is babbling happily. As I walk down the leafy streets, I stare at my trekking boots. I need to break them in. I feel the breeze in my hair while I pass tourists, joggers and mums pushing strollers. I arrive at the steep path. "Let's go." I can hear my mum's voice in my head as I go up and down the hill. Couldn't you find a better thing to do? I grew up in Iran just after the revolution, the overthrow of monarchy and the establishment of the Islamic Republic. Behind our house rose the beginnings of the Alborz Range, its arid, snow-streaked summits hinting at adventures far above the at rooftops of Karaj. More than 900 kilometers long, this chain of mountains stretches from the northwest to the northeast of Iran, skirting the Caspian Sea and forming a natural barrier between the dry, hot deserts in the center of the country and the lush green coastline in the north. Most of the girls I knew stayed indoors with their mothers, watching a lot of television. They focused on trying to imitate older women and yearned to put on nail polish and makeup. After I got back from climbing with my dad and his friends, I recounted every detail to my mom, following her around the kitchen, wanting her to stop and listen. She continued cooking, offering only the occasional glance or raised eyebrow in response. Dad made a guilty smile and said he understood. Before each trip, Dad woke me early to avoid the summer heat. I laced my stiff leather boots and jumped in the car. We drove to a meeting point where his friends joined us. I listened intently as the big men discussed the routes, and then I took my place, right after Dad, who led the party. I had to hike with large steps so I wouldn't hold up the men behind me. We didn't have fancy gear. Dad bought my jacket and backpack from second-hand markets near the border with Turkey and Azerbaijan—clothes that people somewhere in Europe must have given to charities or thrown in recycling bins. I wore handmade Iranian boots from a tiny basement shop in Tabriz. The leather was stiff, and I always had a black toe from the descents, but that didn't bother me. I wanted to prove to the men and myself that I could be part of the team. The first seven years of my childhood coincided with the Iran-Iraq war. I remember the sirens blaring and the bombs rumbling in the distance. When we ran under our basement stairs in a blackout, I was too young to understand and fear. Afterward, I clambered up on the roof to see the destruction and watch the smoke rise from a distance. I knew that soon Dad and I would be off again to the mountains where there were no sirens and no bombs, only a world of wonders: porcupine spines and snakeskins to collect, trees to climb, rocks to scramble. The realm of butterflies and streams, of wind and the tea song. Down in the city, I had to cover my head. In the mountains, I could stand tall on a summit and feel the wind in my hair. As I followed Dad up the zigzagging, dusty paths, I placed my feet exactly where he would, and I heard the pebbles shift under my boots. I learned to ask what lay beyond the horizon. I dreamed of the Himalaya. Of the Alps. The Pamirs and the Andes. Dad never said, "You can't do that." He said, "If there is love, if there is will, you will get there." Back at home, I sat on our red carpet with its familiar intricate curves and lines, its palmettes and medallions. As I leafed through a Farsi translation of Everest, the Hard Way, I imagined Dougal Haston and Doug Scott finding their way up the world's highest mountain. I gazed through the huge glass window into the garden, where the sun lit the walnut tree, and the cat slept in the balcony shade, and I dreamed of following in their steps. I pictured myself standing before the immensity of that dark triangle of rock and snow, watching the foreboding jet-stream plumes race over the top, and feeling small but strong. I decided I needed to climb Iran's tallest peaks to prepare for those faraway dreams. I was nine when Dad and I reached the top of Mt. Salaban, the third-highest summit in our country, an isolated extinct 4800-meter volcano in the northwest Azerbaijan province, where my parents came from. The blue shimmer of its crater lake captured my imagination—as it had for generations of Iranian Azeris. The songs of ashiq musicians seemed to infuse the rolling green foothills with the string melodies of saz and kopuz instruments, and with the voices of young shepherds quavering, fading away in the mountain breeze. I watched the Shahsavan nomad girls ride on their horses. I wanted to feel that way, proud and free and in control, in a harmonious rhythmic dance with the wild places I'd come to love. 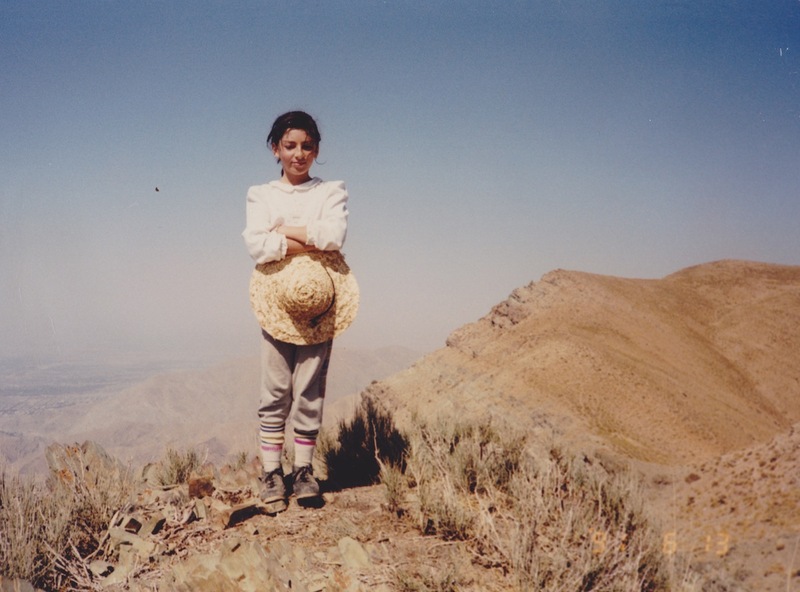 When I was ten, I summited Iran's second-highest peak, 4850-meter Alam Kooh, the highest of the Alam Kooh and Takht-e Soleyman massif, a dense jagged network of peaks and ridges to the west of the central Alborz. Dad and I followed the normal route across the Hesar Chal Plateau—a green basin that seemed like a sanctuary guarded by high mountains. Here, I always felt as though I were walking through chapters of old stories, following the paths of local herders, foreign explorers and Iranian adventurers. The dark ramparts of Alam Kooh dominated the western skyline, beyond which lay the Salambar Pass and the Valley of Assassins. In the 1930s, when the British travel writer Freya Stark crossed the Alborz, she stopped to look at the Haftkhan Glacier and the Takht-e Soleyman peaks in awe, resisting an urge to climb the mighty summits on her way to the Caspian Sea. The vast, shadowed wall of the north face of Alam Kooh rises about 600 meters from the base of the Alamchal Glacier. Long, dark crevices slice through monolithic stone toward scattered overhangs and spiny needles. At first, foreigners explored the massif, but once the revolution took place, the peak was mainly left to Iranian climbers. Standing at its base, I could imagine these warriors of rock and snow battling through spindrift and bitter cold. Local alpinists established numerous routes, though many lives were lost to stone fall. Despite decades of attempts, no one succeeded at a winter ascent of the north face until 1991. That season, Mohammad Nouri's expedition spent twenty days on the wall, struggling up the first few pitches of the classic Arash Route. One climber lost toes and a few fingers to frostbite. 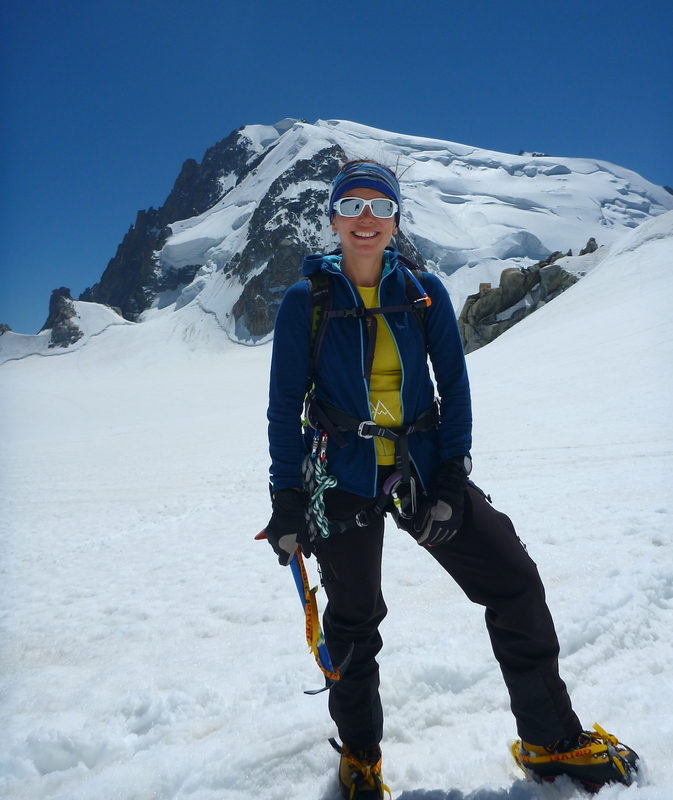 After the rest of the team abandoned the wall, Nouri soloed to the top in a mere four days. By age fifteen, I was naturally drawn to Damavand. The roof of the Middle East. The second-highest volcano in Asia. I could see its perfectly conical shape every day from Tehran. Its snow-capped summit shone above green plains dotted with red poppies, an image that I associated with a love for everything Persian. Its name intertwined with so many of our myths. This was the peak where Zahhak, the tyrant king with the snakes on his shoulders (from Shahnameh: The Persian Book of Kings), was imprisoned for the rest of his life. From its summit, the legendary Arash-e Kamangir shot his magical arrow to indicate the border of Iran and the land of Turan. But Dad's health deteriorated, and after major bypass surgery, he gave up climbing altogether. There weren't many mountaineering clubs, then, and you couldn't climb on your own as a fifteen-year-old girl. I went to university, married an Indian man, moved abroad, had my two boys and settled in London. Whenever I returned to Iran to visit family, the mountain still glimmered, barely visible behind the thick haze of the capital, and I felt a pang of sadness. In 2012 I decided it was time: at ages one and six, my children were old enough that I could leave them with my parents for a few days. Day after day, I hiked up that hill in Greenwich Park with my little boy on my back to train. When I called my dad to tell him I wanted to go back to climb Damavand, he listened quietly. I could hear Mum in the background saying, "But why? What about the kids?" Now that I was a mother, even Dad thought it was time for me to forget those dreams. Nonetheless, he and one of his friends agreed to travel with me to the foot of the mountain, where they would wait while my cousin and my husband accompanied me to the top. At Goosfand-sara base camp, the golden dome of the little mosque shone against the white, smoking peak. I buried myself in one of the hugs Dad gave me on the top of every mountain. Except this time, he was sending me off to Damavand without him. During the five-hour trek to the high hut, as I watched the ground in front of my boots, I fell into a trance-like rhythm, the pace of following my dad for more than ten years. The pebbles shifted under my boots the same way. The rocks and the flowers looked familiar, but Dad's footprints were no longer ahead of me. Now I had to choose where to put my own feet. The path winded through volcanic rock, wild mint and giant poppies, and I heard the music we once played on Dad's wooden cassette player as we roamed the mountains. The earthy songs of Mohammad Reza Shajarian and the raw tenor of Shahram Nazeri rose and fell, blending with the rugged, dry peaks of my childhood home. Early the next day, we set off for the summit. I couldn't help taking bigger, faster steps as we neared the top—a pile of yellow stones beyond which there was only blue sky. Where is Dad to tell me to slow down, to remind me to look around, to enjoy the scenery? I sat on a rock, well away from the tiny fuming sulphur vents. I could see the main vent just below to the east. A dense tube of smoke fumed upward, roaring and rumbling. I hoped the wind didn't change direction. I looked down. My heart pounded. My breaths became shallow and fast. My husband was still plodding fifty meters or so below. I couldn't keep going without him; that would be against Dad's rules. He always waited for everyone to catch up so we could hold hands and step on the summit side by side. I tried to regulate my breathing, and as my husband got close, I reached for his hand. In the midst of the sulfurous rocks, the colorful banners and plaques, I spotted the frozen sheep from Dad's stories. He had told me many times about how the animals got lost in a storm and wandered from the foothills to the top, where they died. I began to cry. If Dad were here, he would have embraced me. He would have congratulated everyone, including strangers, and checked if they were OK. He would be so proud. I am here. On top of Damavand. Years have gone by. Dad is now in his seventies. He still finds joy in talking about mountains with me and his old friends. 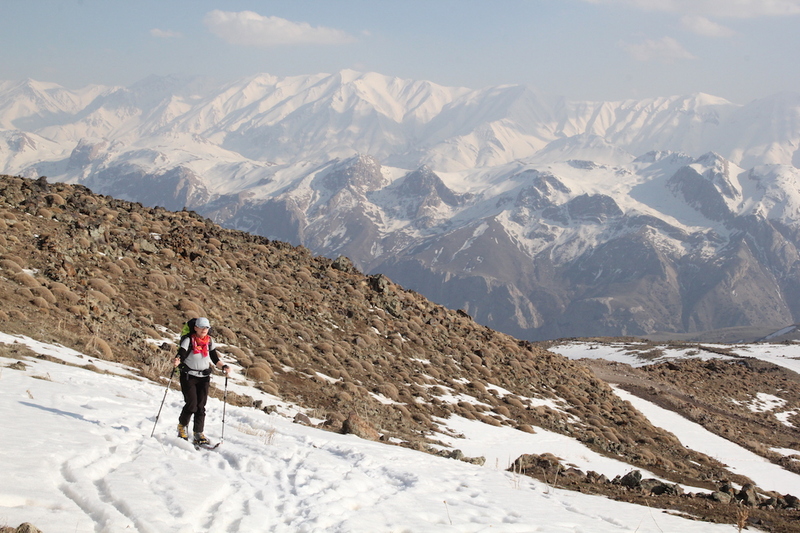 After setting up a trekking and skiing company, I've taken clients up Damavand numerous times. At first, as a female expedition leader, I found that local drivers, mule herders and hut wardens looked to the men for instructions, but over time, they became more familiar with me and showed more respect. Every time I travel to Iran, and the plane approaches Tehran, I see the summit of my dreams, snow-capped, almost translucent in the early morning light. When our van pulls out of the tunnel on Haraz Road, and the peak reveals itself once more—a flash of white above the plains—I feel the same excitement. Over the years, I've seen Damavand, again and again, from other peaks around the Alborz Range, its triangular white summit, sticking out above the clouds, behind the rolling blue and brown ridges. I've remembered the myth of how all the neighboring mountains lean toward it, as if bowing in respect. 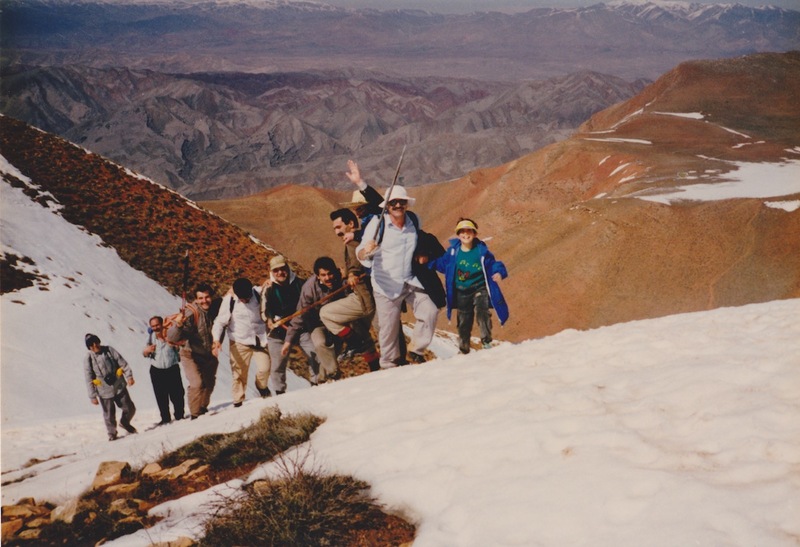 The day I stood atop Damavand was supposed to be a closure. Instead, it was as if I'd picked up an old book I'd set aside, partway through reading it, and began turning the pages forward again. I found the independence, at last, to visit those ranges beyond the horizons, hiking beside the gushing streams through the Valley of Flowers in the Garhwal Himalaya, placing the frontpoints of my crampons on tiny granite edges along the jagged traverse of the Aiguille du Plan. But I still return to the mountains of my childhood to relive moments deeply engraved in my unconscious. And now, when Iran appears so often in the news amid discussions of global tensions, and worries of an uncertain future darken my thoughts, I go back to that geography of memory, and I find hope there. On my most recent trip to Iran, I make my way to the top of Azimiyeh, the small peak that Dad and I used to visit every weekend. Two hours before, he dropped me off at the parking lot and said he would be back to pick me up. I feel free, and in control, finally comfortable spending time in the mountains alone. I have the summit to myself. I let my scarf slip and my hair loose in the morning breeze. There are a few more grey strands, but I still feel like that little girl. I take out the flask and pour the warm tea into a mug. As I cup the tea in my hands, drawing warmth into my cold fingers, I bring it close to my face and breathe its familiar aroma, redolent with dry sunshine, thistles and stone, with coffee-flavored sweets, childhood oblivion and joy. I sing the tea song, and the words float across the mountains of Alborz that stretch east and west and the little green villages nestled between—before vanishing in the wind that drifts far and wide, beyond all the horizons. This story first appeared in "The Climbing Life" section of Alpinist 58—Summer 2017. Subscribe today or order your own copy at the Alpinist.com store.